I love knitting small cloths-- dish cloths, wash cloths, face cloths, scrubby cloths, whatever. I knit them all the time and I'm starting to wonder if I have some sort of weird hoarding issue with them. There is a stack of knit cloths on my dresser, each one a different color, none of them matching, and I can't bear to use them or part with them. 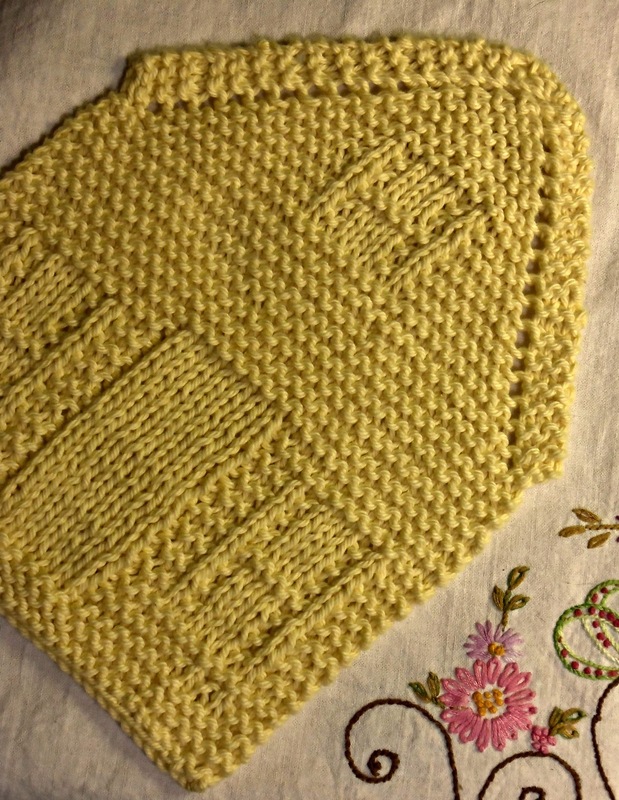 This pattern is called Nineteen Hundred House Dish Cloth and it is sooo addictive. Wouldn't several of these in different colors make a cute housewarming gift? If you could bear to part with them, that is. This yellow one is in the stack on my dresser. Happy New Year!!! Wishing you peace and blessings and joy in 2013. I love the wash cloth, how beautiful! I love knit wash cloths and have a huge stack myself, but I don't have a house one...yet! I love that house cloth! 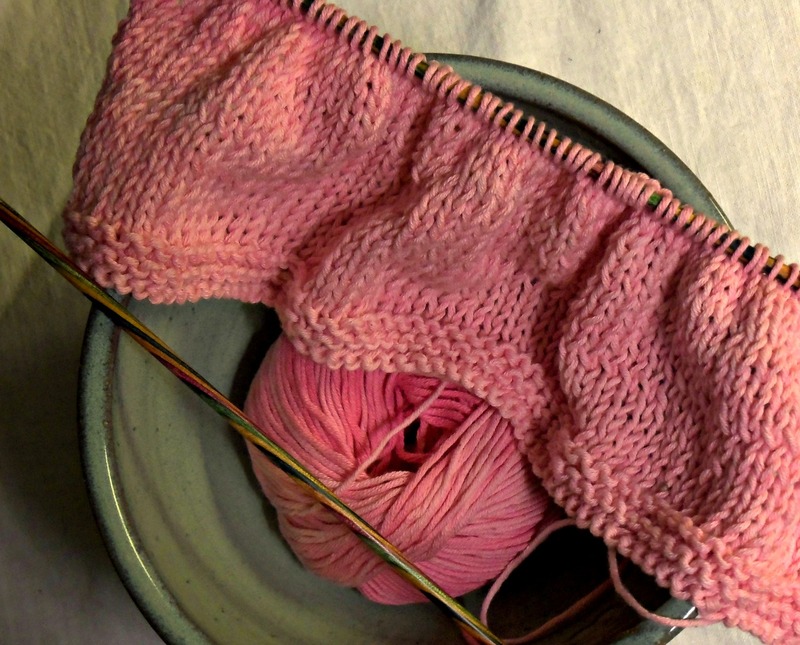 Knitted wash cloths are the best, but lately I've been finding that knitting with cotton hurts my hands. Wow, that is so cute :) I love the yellow. I can't wait to see the dress! I love knitting dish cloths, too. I think it's instant gratification. Oh so cute! Can't wait to see sweet Lily in that dress:) Have a blessed day dear friend, HUGS! Cute house! Happy New year! Cute pattern. I like knitting dish clothes too. love the house wash cloth. Wow. I think I may try to knit one of those cuties this year! How fun -- that little washcloth is darling. I can't wait to see the little dress too -- I hope you'll remember to post it! What a fun pattern! I'm going to tuck it away in the brain for next year. It would be a lovely gift for my two knitting friends. Glad to see you creating!